Baptist missionary J. R. McCorkle founded the town as a church community in 1900. Originally called Double Gates, it underwent a change of name when storekeeper L. L. Shield named the community for himself. In 1940 there was a store and a population of 125. By 1980 it was down to a mere thirteen people which was the number given in 1990. 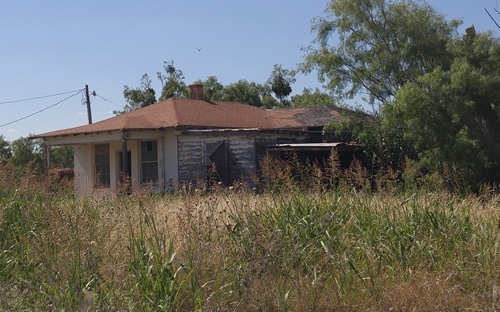 The first community in this vicinity began as a Baptist church settlement founded in 1900. 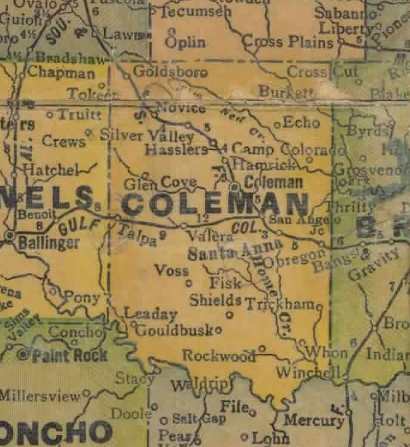 The vast ranch land of the area was divided into lots beginning about 1905. 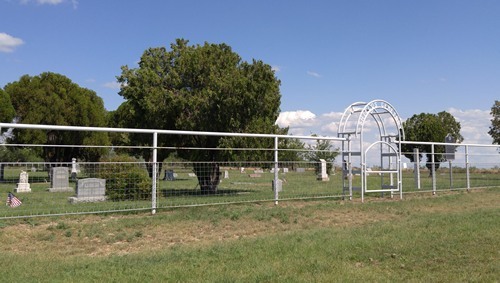 Early settlers called the community "Double Gates" because there were two gates on the road between the nearby towns of Coleman and Brady. A watering hole near the road also attracted travelers. 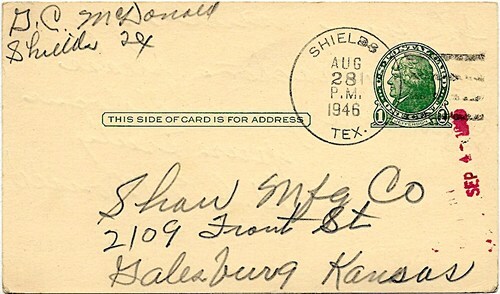 L. L. Shield built a general store and post office, and the community was named for him. The infant son of J. T. and L. A. (Dillingham) Gilbreath died in June 1908 and became the first person to be interred on land set aside for a Shield community cemetery. One acre of land including the grave was donated to County Judge T. J. White, trustee, in December of that year. 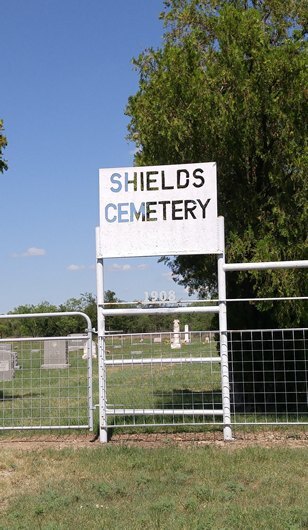 The cemetery gradually took on the name Shields. The earliest graves here are a testimony to the difficulty of pioneer life: almost half the 37 people interred during the first ten years of the cemetery's operation were children younger than three years of age, two more were teenagers and four were under the age of twenty-five. Only one person more than fifty years of age was buried during this period: Susan Winkler McGinnis Godwin died in 1913 at age eighty-two. Veterans of the Civil War, World War I, World War II, and the Korean War are interred here. Six graves in the northwest corner of the cemetery are believed to be those of Catholic Mexican Americans. 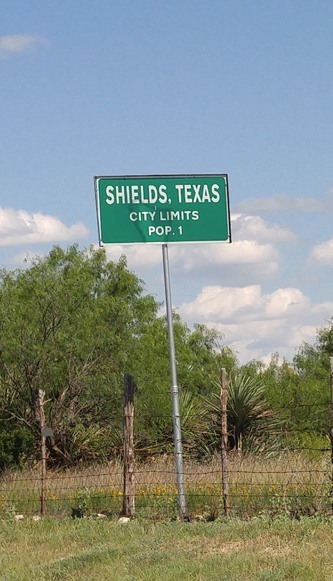 The Shield community thrived for a time, and many of its most influential citizens are interred on this site. 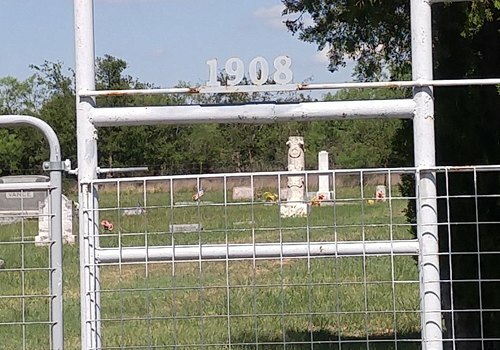 Though the community declined after World War II, Shields Cemetery remains as a chronicle of its people.